I have a double LP of Louis Jordan with all his hits that i used to listen a lot in the late eighties. So i was surprised by the sound of the familiar songs on this new bought LP: it is spectaculair, even though the record is a bit scratchy. Long live good old original vinyl! And it makes you wonder why so many of the re-issues of 50’s and 60’s music on vinyl were so bad, and how the record companies could get away with that. 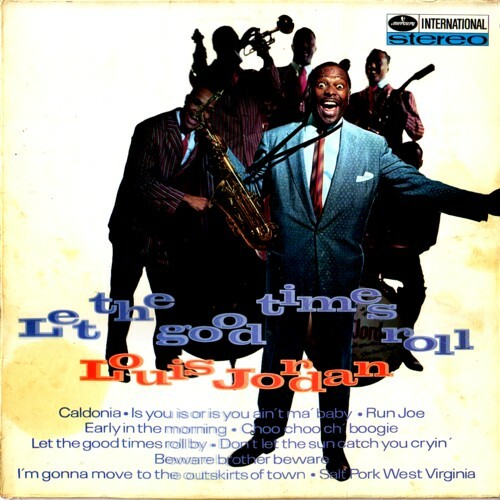 Here is a song that has all the ingredients that make me love the songs by Louis Jordan. “Beware, brother, beware” . Of course, the spectacular sound is probably lost in the mp3-proces, but nevertheless.